High iron content and vortexes located throughout the surrounding canyons are said to promote health and mental harmony. 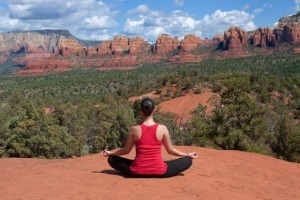 Slow the pace and recharge body, mind and spirit with a visit to one of Sedona’s many spas. Take a yoga class, or get one’s energy balanced by meditating near the flowing creek or over a vista point. Thus, Sedona’s healing atmosphere really can be for everyone. Just imagine. 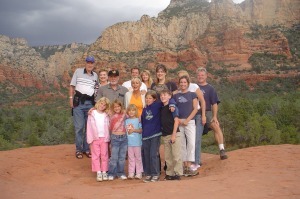 When it comes time to plan a family vacation, Sedona provides the makings of an unforgettable adventure for families to connect with each other and with nature. Sedona is all about the outdoors, so make sure you really take advantage of all it has to offer ! Seeing the red rock country around Sedona is a must so the only decision you have to make is how to take it all in. Hike, bike, horseback ride, jeep tour, and a hot air balloon ride are only the beginning. There are many things to see and do in Sedona, almost all of which involve getting outdoors and appreciating one of the most beautiful places on Earth. There’s nothing quite like teeing off and seeing your ball framed in flight by red canyon walls. 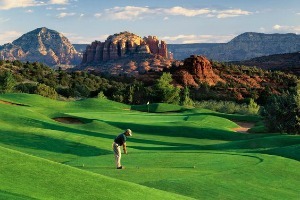 Sedona golf courses are designed to create picturesque memories with every shot. So make time to play if you enjoy the game because golf only gets better when it’s this scenic. Don’t hesitate to ask us any questions that you may have regarding the property, the area, availability, booking or anything else. We are online every day and we are here for you. 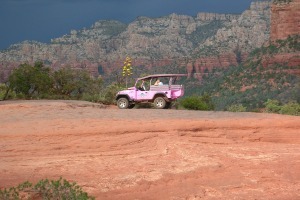 Contact Us for more information on how we can help you experience all that Sedona has to offer.